I always thought that grief was only for death. 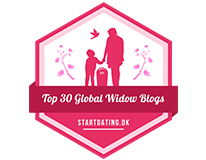 When I became a widow, I learned grief wasn’t only about losing a loved one but a result from any major life change. Besides death, there’s….divorce… job change… marriage… baby…. moving…. illness…. losing a pet… natural disasters and retirement! When we realize we’re in grief, it’s easier to understand and cope. Divorce has different circumstances, but also a huge loss. The spouse is gone and the children may be gone or have to be scheduled in for visitation. Holiday traditions are changed and family get-togethers will be different. Job Change is difficult especially if it entails moving. When changing jobs, you’re leaving your previous coworkers, and that can be sad. It’s not always easy making new friends in a new job while learning new responsibilities. Marriage can cause you grief. Even though it’s a happy occasion you still may grieve the single life…the life you had with full autonomy! But you can’t have both! Just know that grieving can be normal as a newlywed. Babies cause multiple grief issues. The new responsibility of raising a child is the realization that it’s no longer all about YOU. It’s about a dependent baby and loss of sleep! Perhaps this is where post-partum blues come from! Moving can have either a positive or negative reason, but either way there are multiple grief issues. You’re uprooted from a community of friends, schools, jobs, churches, etc. We can be pulled away from dear loved ones. Illness brings on grief in varying degrees. During a temporary illness, we grieve over things we may not be able to do while we’re sick. If it’s a chronic or terminal illness, we’ll have to grieve the healthier life we once had. Pets cause us grief when they die. For some people, pets take the place of their children. Even though we realize that pets have a much shorter life span, it doesn’t make it any easier when they pass. Natural Disasters such as tornados, fires, hurricanes, and earthquakes are usually sudden and unexpected. The severity will depend on how much grief you will experience. It could be minimal loss or it could be devastating loss. Retirement brings grief. It’s a time for realizing that we’re getting older and life will never be the same. A lifetime job may be over, kids are grown and moved out, and health may not be good. We grieve for our younger years. The list goes on, but I’ve touched on some of the major ones. My hope and purpose for writing this post is that people can recognize grief in their life and know that it’s normal. I think of the newly married bride that is feeling a little down and sad. She may be thinking, “Why am I so sad? This should be a happy change in my life!” She’s grieving for the single life she’ll no longer be a part of. And that’s OK! 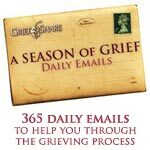 If you’d like to contribute to an upcoming post on grief in YOUR life, please reply and send me an e-mail at: cindyspursuits@yahoo.com I’d like to educate others on the various reasons we go through grief. It can be on death of a loved one or on one of the topics I mentioned above. I’ll have a few questions to ask you in an interview format. Thank you!